Park Hill’s head of secondaries advisory international Pablo Calo is set to leave the firm, Secondaries Investor has learned. Calo, who has spent more than two decades in private equity and secondaries, will depart the group, though it is unclear when his last day will be, according to two sources familiar with the matter. 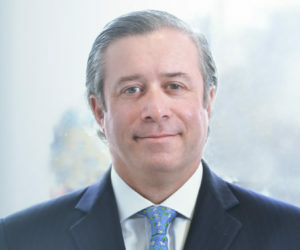 Calo began his career at AIG Global Investment Group and AIG Capital Partners in New York, Buenos Aires and London, according to Park Hill’s website. He spent six-and-a-half years at PineBridge Investments where he was head of its European private equity secondaries business. He joined Park Hill in 2013 when it was part of Blackstone and has focused on portfolio transactions, structured processes, securitisations and GP-led fund restructurings including continuation vehicles, according to his LinkedIn profile. Calo became head of secondaries advisory international in 2017 when former Morgan Stanley Alternative Investment Partners executive Jonathan Costello took over as Park Hill’s head of secondaries advisory. Costello and Calo were to lead the secondary advisory group and continue to expand the cross-business collaboration within Park Hill and across the firm, according to a memo announcing the appointments at the time, seen by Secondaries Investor. Park Hill plans to add as many as six additional secondaries professionals over the next 12 months, mainly in North America, Costello told Secondaries Investor in October. The firm had 27 staff dedicated to secondaries at that time. Park Hill’s recent GP-led deals include the GP-led process on Avenue Capital Group‘s 2011-vintage Europe Special Situations Fund II, worth as much as $450 million. Park Hill and Calo declined to comment.